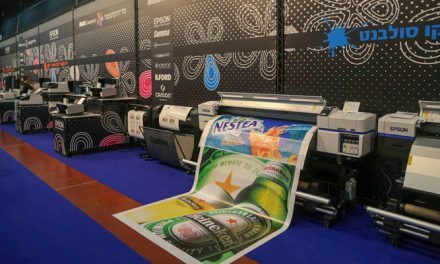 Sensient Imaging Technologies, a subsidiary of Sensient Technologies Corporation, has launched a new range of high performance digital dye sublimation inks for low-viscosity Epson printheads, ElvaJet Opal SB inks. Sensient Imaging Technologies is a leading supplier of inkjet inks for digital textile, industrial digital, and sublimation printing. Following the extensive success of ElvaJet Opal SC inks for mid-viscosity printheads, ElvaJet Opal SB ink addresses the needs of low viscosity printheads, and allows customers of wide format printers to benefit from the revolutionary technology. ElvaJet Opal SB ink fulfils the need for a plug and print solution in this market. ElvaJet Opal SB ink is also certified for Eco Passport for Oeko-Tex, epitomising Sensient’s commitment to sustainability and responsible use of chemicals in the supply chain, according to a statement by the company. When Sensient launched ElvaJet Opal SC ink in January 2018, this pioneering ink gave users unparalleled benefits in terms of colour, sharpness, and superior release from coated and uncoated transfer papers as low as 18 grammes in weight. With ElvaJet Opal SB ink, Sensient resets the standard for sublimation printing in wide format systems. ElvaJet Opal SB ink defines ease of use with simple start-up, minimal maintenance, and maximised printing up time with further unique benefits for users. “Users of wide format and industrial printers in the same print shop can now reproduce the same output on all machines because ElvaJet Opal SB and SC inks use the same colour reference. This standardisation offers unique options for production flexibility and a reduction of consumable costs. Early market tests show significant ink savings can be achieved by new customers switching to ElvaJetOpal SB ink,” Simon Daplyn, Marketing Manager of Sensient’s Inks Division said. “By focusing on the needs of the market and our clients, ElvaJet Opal SB inks enhance the value of our offerings to print shops. Product that delivers peace of mind for our users is key. We are delivering reliable printing with outstanding results in terms of batch to batch colour consistency, sharpness of print detail, colour intensity, and high release from the paper, all with Eco Passport status providing further reassurance of brand compliance and sustainability in the supply chain,” Mike Geraghty, President of Sensient’s Color Group said. 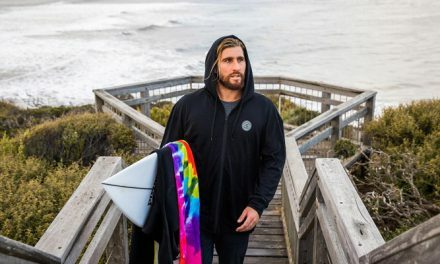 The digital sublimation inks developed under the ElvaJet Opal platform are designed and manufactured in Morges, Switzerland, and have been formulated for use in Piezo-based printers for applications such as fashion, sports apparel, home textiles, and sign & display. Successfully printed on a range of wide format digital printers, these inks show exceptional print and colour performance.